There is still “much work to do” tackling inequalities and under-representation in and around sport, according to the Chief Executive of Sporting Equals. 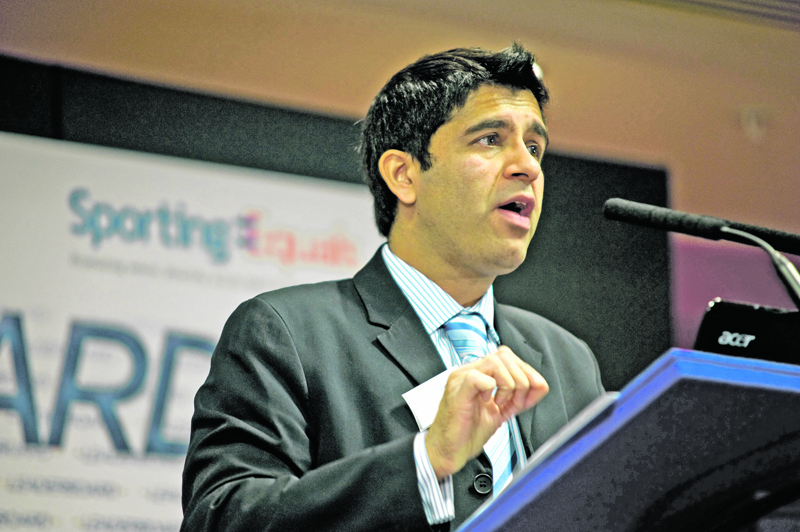 Arun Kang was speaking after the 2019 British Ethnic Diversity Awards (BEDSAs), organised each year by Sporting Equals, were staged at Heathrow, London. Amongst the award winners drawn from grassroots and elite sport was England star Raheem Sterling, who has spoken out recently following a number of racist incidents in football. The Manchester City forward was announced as winner of the City Livery Club Sportsman of the Year Award, while England netball captain Ama Agbeze was Royal Navy Sports Woman of the Year after leading her team to gold at the 2018 Commonwealth Games. Arun Kang (right), who founded the BEDSAs, commented: “The Sporting Equals BEDSA awards never disappoint celebrating the outstanding work of volunteers and communities to the achievements of world-class performers like Raheem Sterling and Ama Agbeze. Other winners included GirlDreamer: Boarders without Borders as the Sport England Community Sports Project of the Year, and Unity Gym which was named winner of the Spirit of 2012 Connecting Communities Award. The British Muslim Heritage Centre received LTA Community Project of the Year and the National Asian Cricket Council collected the England Wales Cricket Board Special Recognition Award. Find out more about Sporting Equals on its ConnectSport directory page. To add your organisation to the directory, contact hello@connectsport.co.uk.